This post could take a long time in writting, so I will keep it to the point. My favourite is The Wynn because it’s the classiest. When I go on holiday, I want the best that I can afford. I have stayed in all 3, The Wynn, The Bellagio and The Palazzo, but the standard never drops in The Wynn. Unfortunately, in the other 2 (maybe because of the recession) the attention to detail isn’t there at the moment. It is an absolute tragedy that so much money has been invested in building these wonderful resorts and someone, somewhere is responsible of letting this happen. Who is in charge of stained carpets in the guest rooms? Who is in charge of re-touching up the wooden furniture? Who is in charge of re-filling the tolietries? It’s in these tiny details that will set you below the benchmark. What were once the height of glamour and excellance are just becoming slightly lacklustre. 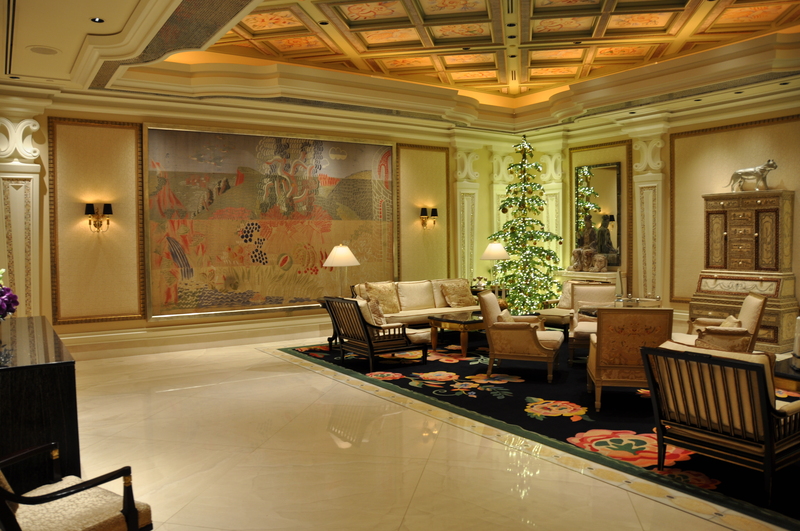 The Wynn (Dec 2011) has the edge. So for the same amount of bucks, I know where I’ll be checking-in to. Welcome to my Las Vegas point of view. Please feel free to add a comment.